Would my son learn to read? How would he make friends? Could I trust my own ability to guide his learning? The enthusiasm of other parents was encouraging. They told me of chemistry experiments and trips to paleontology museums. Their kids were learning voraciously, and the adults were having fun. Until it came to math. “I hate math.” “I can’t add.” “I’m horrible at math.” For them, math had become the same thing it had been to them as children: something to endure. Confession: I love math. I want my children to enjoy it, too, and to see a future in it as accessible as becoming a motorcycle mechanic, English professor, farmer, or corporate lawyer. I also can’t add. But math isn’t about being good at adding, and an inability to add doesn’t mean you can’t teach your kids mathematics. In her book What’s Math Got To Do With It? detailing findings from longitudinal studies on math education, Stanford professor Jo Boaler notes that Americans are familiar with two kinds of math: “the strange and boring subject that they encountered in classrooms and an interesting set of ideas that is the math of the world, and is curiously different and surprisingly engaging. To teach math successfully, parents need to face down the voices in their heads that claim, I’m terrible at math, and experiment with materials that reflect the subject’s multi-faceted reality. She didn’t want her son to suffer the same math trauma, so tried to make math fun, reading books like Grapes of Math and The Adventures of Penrose, the Mathematical Cat, and later, as her son got older, The Man Who Counted and The Number Devil. I spent months looking for an actual curriculum that was both engaging and rigorous. By chance I came across an article about JUMP, a program developed by a Canadian nonprofit. JUMP breaks math concepts down into tiny, digestible steps, meaning that kids can master each step individually without getting overwhelmed by larger concepts all at once — its advantage for homeschoolers is that adults who fear their own math abilities can do the same. Delores Caesar, who began homeschooling her middle-schooler specifically because of concerns that her daughter was “slipping under the radar” by knowing facts but not understanding concepts in her math classes. This mom, from New York's Hudson Valley region, says she likes JUMP for daily lessons, but Math Mammoth and Critical Learning workbooks for an all-around deeper understanding of concepts. Grahamsville, N.Y.'s Vikki Siciliano, who was good at math as a kid but never enjoyed it, has been homeschooling for 16 years. Siciliano initially tried Saxon math, which her 5th-grade son hated because “it was so repetitive,” but found the colorful, in-depth Scott Foresman program worked well for them. Two of her kids eventually became math majors. Muller also employs the techniques common with both rigorous and unschooling homeschoolers: using math in everyday life for activities like measuring out their garden, planning for Christmas shopping, cooking, and estimating miles per gallon for car trips. The limitations of online programs such as Khan Academy and IXL speak to the importance of connecting mathematics to the physical world. One successful program that reflects this approach is from Miquon Math Lab. Miquon was developed in the 1960s for use with Cuisenaire rods—wooden sticks in different lengths and colors representing the numbers 1–10. I like using Cuisenaire rods because my son knows his “math rods” are a school-only activity, and we can break up lessons by letting him build with them. These tools can make a big difference for a child who thinks three-dimensionally, or who needs to grasp lessons physically before transferring the computations to paper. And blocks, tiles and linking cubes continue to benefit math learning well into middle school. If the thought of teaching your child math still makes you break out in hives, outsourcing is an option. And as the homeschooling student gets older, their abilities can outstrip the mathematics lessons based on worksheets, manipulatives, and gas mileage calculations. This is where parents can really use the support of homeschooling groups and the Internet. Particularly in math, many students learn better if they are solving problems and discovering mathematical questions in groups. There are many blogs and websites run by mathematicians and teachers posing fascinating higher-level questions you won’t find in textbooks. Patrick Honner’s website regularly features math in art, as well as interesting mathematical questions and discussions. Did you know there’s more than one kind of infinity? Or that The Simpsons is packed with mathematical references because most of the writers were math majors? Not just for homeschooling families, these resources offer all families the chance to think "out of the old-school box" when it comes to math. Boaler is sympathetic to parents who hate math, but she notes that many of the puzzles, games, books, and methods that make math learning fun and effective can work for parents, too. In short, you’ve got a chance to start your own math education over again. Whether that structure is used to figure out how many miles you can drive on a tank of gas, decipher mortgage applications, or build a foundation for later work on the Higgs-Boson particle, it is essential that the homeschooling teacher, or any parent who wants to support his or her child's math education, presents it as a subject worthy of enthusiasm. If you give it a chance, you might find you’re not so terrible at math after all. Even if you still can’t add. 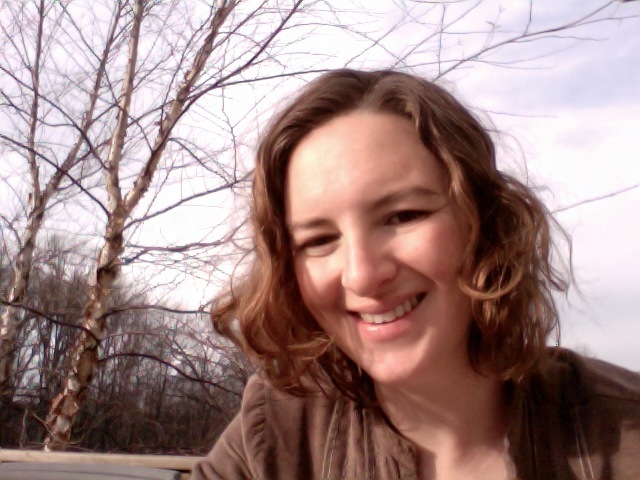 Freelance writer Antonia Malchik has a BA in mathematics from Macalester College. She can be reached through her website, antoniamalchik.com. Antonia Malchik has a BA in mathematics from Macalester College. She would like to thank Bruce Tannehill for instilling a lifelong love of all things STEM.